The noble profession of nursing is in great demand both in Indian as well as international hospitals. 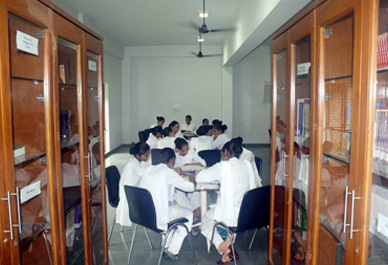 To cater to this need, Muni Seva Ashram general nursing and midwifery training center was founded in 2002. 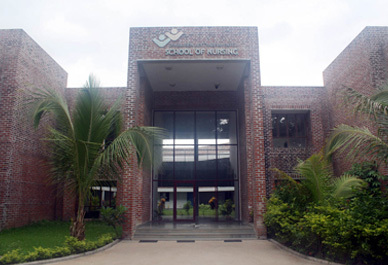 Today this center is a full-fledged college affiliated to and recognized by the Indian Nursing Council imparting world-class training in physiology, pharmacology, anatomy, nutrition, emergency treatment, and patient care techniques. Nursing course-work also includes other specialized training that prepares students to care for infants and for the psychologically and physically challenged patients. 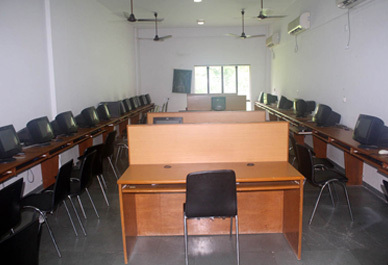 The college offers highest quality nursing education by ensuring utmost attention to the learning needs of students. On an average, there are no more than 6 students per teacher. Furthermore, being a residential college, with two of Gujarat's major hospitals within the Ashram's campus, students are given the opportunity to get practical training by serving the large number of patients who come visit the hospital for treatment. The training also allows students to get in touch with humanity, by making them part of a long-lasting community that takes pride in its profession, tradition and concept of continuous learning. The Institution is attached to A.P.A.M. & K.C.H.R.C. Hospital, Goraj. M.Sc (Nursing) community Jiwaji Uni. M.Sc(Nursing) mental Rajiv Gandhi Uni. The Convener of the Anti-Ragging Committee will conduct the committee meeting periodically, discuss the issues regarding curbing the menace of ragging, take suitable steps for preventing ragging in the college campus and implement the UGC regulations.